Latest annual traffic between KMG and Middle East, mostly to Dubai, is up to27,000 pax, with 14,000 pax (52%) originating from KMG according to IATA. Over 700,000 local Muslim people have the potential demand for paying homage to the holy sites. Latest annual traffic between KMG and Australasia, is up to 21,000 pax, with 11,000 pax (52%) originating from KMG according to IATA. Latest annual traffic between KMG and South Asia, is up to 160,000 pax, including direct flights to Kolkata, Dhaka and Kathmandu, with 75,000pax (47%) originating from KMG according to IATA. Traditional outbound market of KMG and Yunnan market, is one of the favourite tourist destinations of Yunnan people, with latest annual traffic up to 740,000 pax, with 370,000 (50%) pax originating from KMG, according to IATA; mostly by direct routes to most of South East Asian countries except Indonesia and Philippines. The potential for both inbound and outbound market is out there. Latest annual traffic between KMG and Western Europe, including UK, is up to 42,000 pax, with 21,000 pax (50%) originating from KMG according to IATA. Western Europe is one of the traditional favourite overseas destinations among Yunnan local people for sightseeing, business activities and education. Latest annual traffic between KMG and North America, including Canada, is up to 32,000 pax, with 16,000 pax (50%) originating from KMG according to IATA. North America is one of the traditional favourite overseas destinations among Yunnan local people for sightseeing, business activities and education. 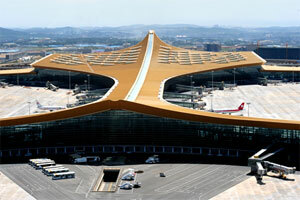 Kunming Changshui International Airport, China’s fourth largest hub, serves Kunming (pop. 6.5m), the capital of Yunnan Province. 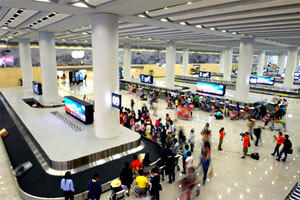 The hi-tech and traveller-friendly 23 billion RMB ($3.8bn) airport was officially opened in June 2012. 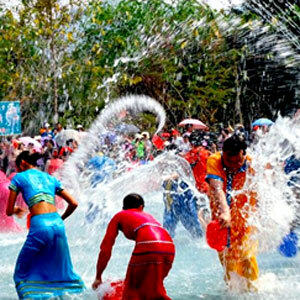 Several cultural treasures are located in Yunnan Province. 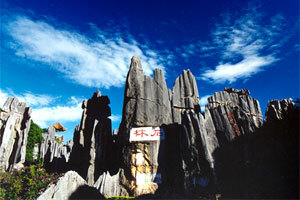 The Stone Forest, which is one of the most famous scenic spots in China, lies about 130km south-east of Kunming. 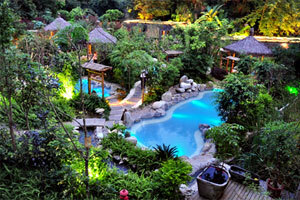 The crystal clean spring, known as the Black Dragon Pool, is also located north of the city. 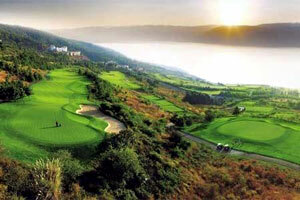 Yunnan also offers premier golf resorts such as the Spring City Golf Club. KMG is expecting nearly 30 million passengers in 2013, including nearly 2 million international pax, with annual growth rates over 25% and 30% respectively. KMG is the gateway to numerous hot tourist destinations and rich ethnic minority cultures in Yunnan, including but not limited to the mysterious Shangri-la, and 4 UNESCO natural and cultural heritages, namely Lijiang Old Town, Stone Forest, Three Parallel Rivers of Yunnan Protected Areas and Honghe Hani Rice Terraces. 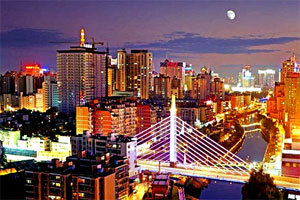 Kunming city with population of 6.5m and GDP of RMB301 billion, or approximately $50 billion. 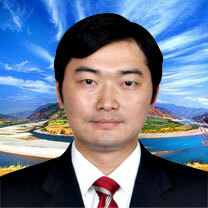 Yunnan Province with a population of 47 million, GDP RMB1030.98 billion, approximately $169 billion. Nice weather, clear sky most of the time in a year, pleasant temperature all year around, Kunming city is nick-named ‘Spring City’ in China. Nice Golf resorts, including Spring City Golf Club, which is amongst the best in South East Asia, and high quality hot spring resorts. 24 domestic, 10 international and 5 special zone carriers offering 225 scheduled routes, from KMG to 91 domestic, 26 international and 4 special zone cities. High flight frequencies with all major cities in China. Luosiwan Small Commodity Centre is the largest small commodity whole sale market in Southwest China. Thai AirAsia has recently launched daily international services to Kunming, benefitting from the airport’s incentive scheme. Incentive scheme available for new international routes up to 3 years. New route promotion through KMG multimedia, online and offline platforms available. Inaugural ceremony support by airport authority. For new international, especially direct inter-continental, routes, financial support from local government can be discussed. Marketing support available from airport authority and local tourism administrative authority through co-ordination with local tourist agencies. 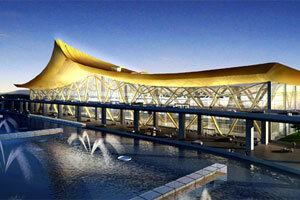 The airport is 60 minutes away from downtown Kunming city (pop. 6.5m). Yunnan University (one of 14 in the city) has 20,000 students. Click here to enlarge the map. 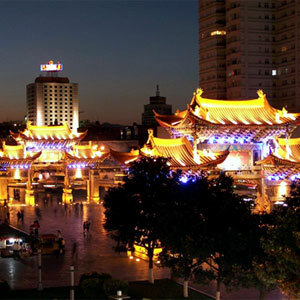 60 min catchment area, downtown Kunming city, as the capital city of Yunnan Province, with over 6 million dwellers. 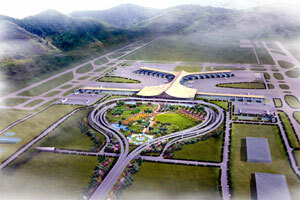 By Air, Chengdu, Guiyang, Chongqiong and 11 regional airports under Yunnan Airport Group. 120 min catchment area, the entire Kunming Municipal Region, Yuxi, Chuxiong and Qujing, with population over 17million. By air, Xi’an, Wuhan, Guangzhou and Haikou, in China, and Bangkok, Vientiane, Luang Prabang, Mandalay, Chiang Mai, Hanoi, Phnom Penh in Southeast Asia. 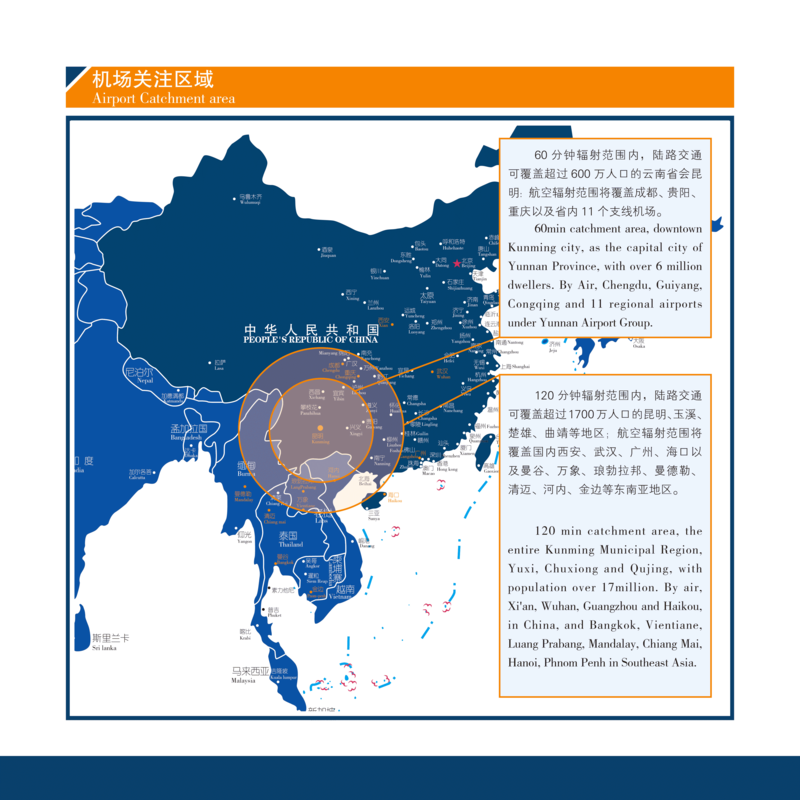 Kunming is a major freight airport with a capacity of 1.3 million tonnes a year.The region features the largest flower export base in Asia, exporting to over 40 countries. The Pan-Asian railway line spans from Yuxi, south of Kunming, to Vietnam, and it is mainly intended for freight transport. 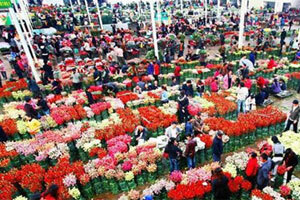 The largest flora market in China including the only international flower auction centre in China, exporting to over 40 countries around the world. Major high-end agricultural products include Truffles, matsutake, and fresh water trout. The largest 4 tobacco companies in China located within 120 min. catchment area. Major bio and pharmaceutical production base in China. 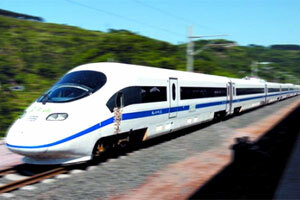 Pan-Asia railway and expressway with Southeast Asia region is under way. 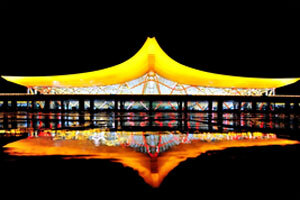 After which, Kunming city will become a key conjunction point with inland China. 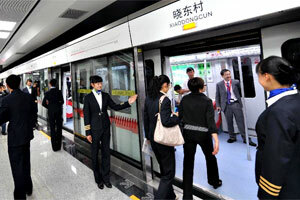 The airport features excellent surface access including the new Kunming Metro, opened in 2012, and two shuttle bus services operated every 15 minutes. 3,800 parking lots for private cars and buses. 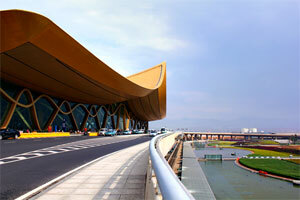 Kunming’s two parallel runways of 4,500m and 4,000m are capable of handling all types of aircraft. 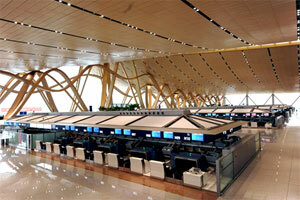 The terminal, which is the second largest in China, features the latest technology, providing passengers with a seamless and memorable experience. Runways: 2 Parallel runways capable of independent operations: East Runway: 03/21, 4,500m X 60m, ILS CAT. I; West Runway: 03/21 4,000m X 60m, ILS CAT.I. 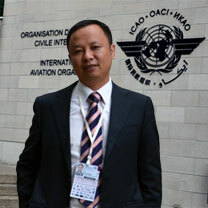 ICAO Code: 4F, handling A380 of China Southern from July 2013. Slot Coordinated? : Yes, current daily flight cap. at 820, additional slots are available, priority will be granted to new international routes. Terminals: T1 with 548,000m2, 68 aero-bridges (additional 41 remote A/C stands available), 160 check-in counters, 24 self check-in kiosks. Additional A/C stands will be built in recent months. Runway upgrading to ILS CAT II underway. Reconfiguration and expansion of terminal commercial & retail space underway. Phase II expansion includes building additional 2 runways, new remote terminal for handling ultimate annual pax traffic over 80 million, and new cargo terminal dedicated to freighters. 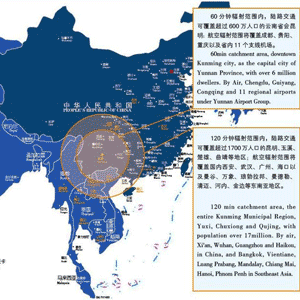 Passenger numbers (Commentary on domestic/international; scheduled/charter; business/leisure/transfer would also be useful here): In 2012, 23,982,603 pax and 200,340 traffic movements were achieved at KMG, ranked the 7th largest in China by pax handled, and the 60th in the world according to ACI 2012 preliminary ranking. KMG is expecting 30,000,000 annual pax traffic in 2013, including nearly 2 million international pax, with annual growth rates over 25% and 30% respectively, according to statistics by the end of October 2013. 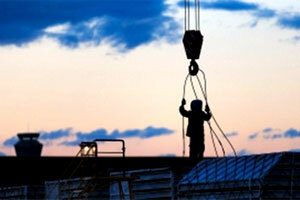 Freight: In 2012, 262,286.9 tonnes of cargo were handled. KMG is expecting 280,000 tonnes of cargo handled in 2013, with annual growth rate around 12%, according to statistics by the end of October 2013. New Routes New inter-continental routes Full exemption for 3 years. New or re-opening int’l direct route(s) or direct routes from SARs and Taiwan with no direct link previously. Full exemption for Year One. From Year Four, charged at normal rates. New int’l freight charter(s) Full exemption for Year One. From Year Two, charged at normal rates. 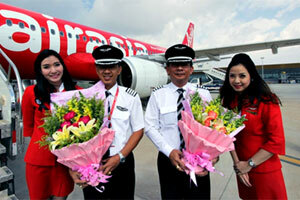 New Int’l routes from domestic cities stop-over KMG Full exemption for Year One. Year Two exemption from landing charges. From Year Three, charged at normal rates.